Despite Smash Bros. traditionally being a console franchise, the 3DS version of the latest installment 3.43 million more copies than its Wii U counterpart. 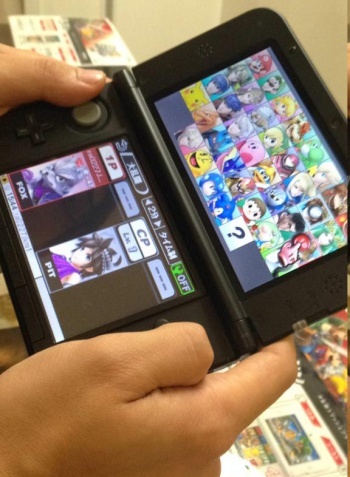 When the latest generation of Super Smash Bros. was revealed, fans were a bit surprised to discover that alongside its traditional console released on Wii U, it would also be getting a portable released on 3DS. Many were skeptical, as Smash Bros. is of course best when played with a group of people in the same room. However, the sales figures don't lie, with recent sales data from Nintendo showing that the portable version out-performed the console version considerably. According to the numbers, the Wii U version sold 3.43 million fewer copies than the 3DS version. Critically, the Wii U version holds a 92 rating on meta-critic compared to the 3DS's 85. However, the 3DS sold considerably more consoles over its life: 65.3 million compared to the Wii U's 13.56. A new Smash Bros. title has not been announced for the Nintendo Switch as of yet, but as every generation of Nintendo consoles comes with a new Smash Bros., it's inevitable that the console/handheld hybrid will get one. It will be interesting to see if the 3DS will also get another version of the game. Shock as better selling console sells more of popular series. The version of a game that had nearly five times as many platform-owners, and cost $10 less, sold more units? Not entirely surprising. Probably because it came out on 3DS first and people wanted the game that badly. Then many people decided they did not want to buy it a second time. Not a lot of people own a Wii U, but a lot of people DO own a 3DS in some incarnation or another. Plus, the Wii U has same-system multiplayer, which means people have even less of a reason to buy the Wii U version if just one of their friends owns a copy. Smash may be best when played in the same room, but the 3DS version doesn't discount that idea either since there is both local multiplayer. When it hit stores I saw tons of people on campus playing together. I doubled down and bought the Wii U version as well just because it was an easier way to get more people playing, but I'm sure most people stuck with the 3DS version. I think the fact that far more people own a 3DS than a WiiU played a huge role in this outcome.